Christmas decorations have come a long way since I was a child in the 1970s/80s. While most people still insist on having a traditional Christmas tree, they are more open to taking some chances in other areas of the house. 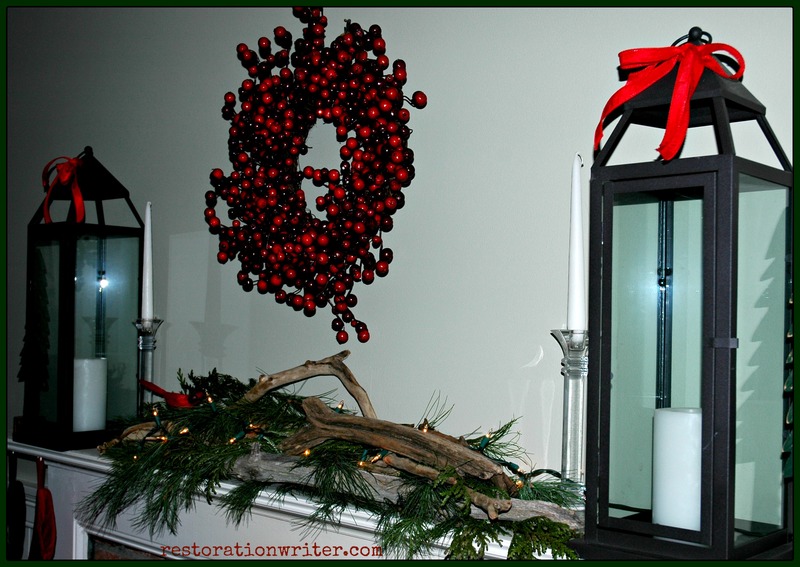 My mantel is one of my favorite things to decorate at Christmas time and is never the same as the year before. I spend hours mixing new and old decorations and playing around with things I have found or acquired. 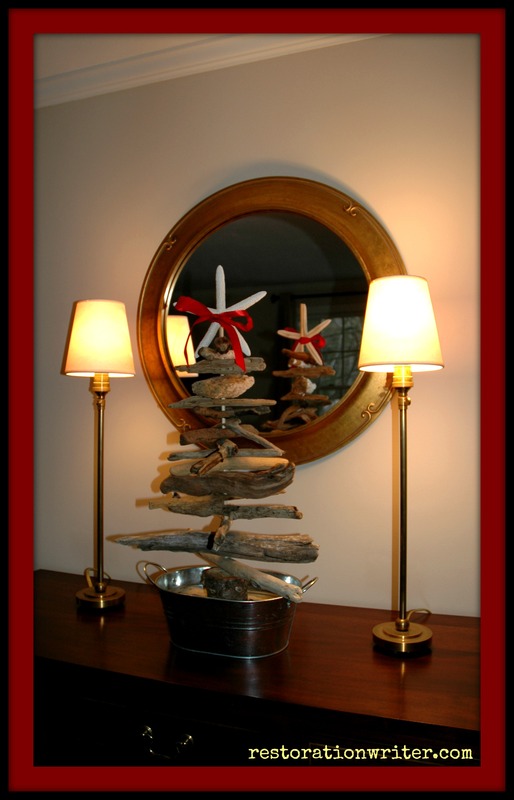 Building the driftwood tree couldn’t have been easier and now we have a keepsake from our wonderful weekend. First, we chose a wooden dowel so we knew what drill bit to use to drill holes into the center of the driftwood. We prearranged the driftwood in the order that we wanted to have it stacked so that it would resemble a tree. After drilling all of the holes, we put each piece of driftwood on the wooden dowel. Next, we made the base for our driftwood tree out of the end of our Christmas tree! We buy a tree every year from the Boy Scout troop that my husband was in when he was little, and this year they offered us the base when they trimmed the tree. We cut the Christmas tree scrap to about 3″ inches high (I would also recommend using birch so the tree would look extra festive!). Then we drilled a hole in the base to accommodate the dowel. We used a bit of wood glue to secure the dowel in the base. After placing the tree base into the container, we filled the bottom half of the container with sand and topped it off with a few river rocks.